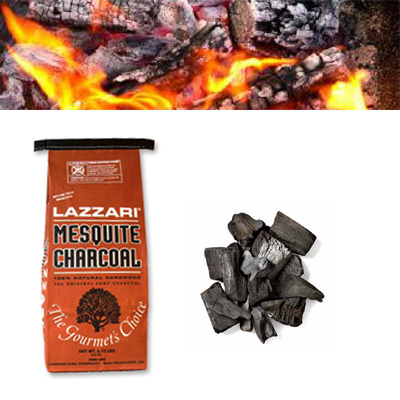 Mesquite Charcoal imparts a uniquely delicious flavor to grilled foods. These retail packages contain our highest grade of Mesquite Lump Charcoal. It is packaged at a modern facility where the charcoal is sorted for size and then screened to remove excess finer pieces. All this attention to detail makes for the finest Mesquite Lump Charcoal in the marketplace. This product is used and recommended by America's finest chefs. Package contains 6.75 lbs of Mesquite Charcoal.